Some people may suggest you to opt for a solid wood partition for it is much durable than any other material, but when you see how much it costs that is the time you are planning to back-out. There are many options of materials for partitions, it is not only wood who exist, there are PVC, Plastic and aluminum, but the cheapest yet durable one is the PVC material. Our client from San Juan City opted for PVC folding door because they want to save space without sacrificing the good look of the room. They have a small space that is why PVC folding door is the perfect choice for them because it saves a lot of space, unlike traditional hinge door. PVC folding door is very suitable in wide areas and most especially narrow areas, for it is movable if ever you need wide areas for occasions and a very space saver door. It is also durable and easy to clean because the PVC material of this door is just smooth and lightweight for you to operate it easily. 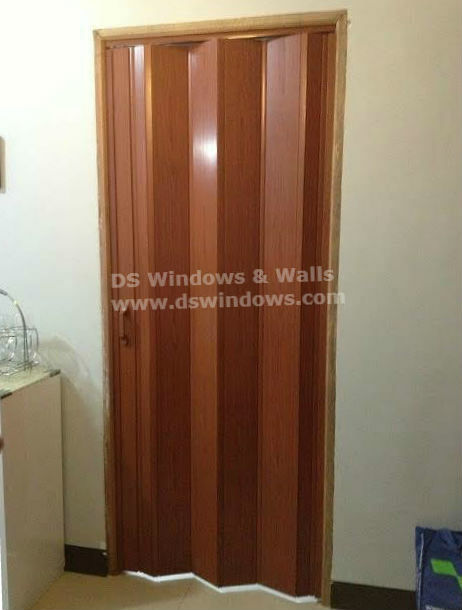 They selected wood like stain of PVC folding door to create a wood like effect door in a very affordable manner. Coordination of your lightning, paintings, window blinds and other accessories will enhance the beauty of your space. 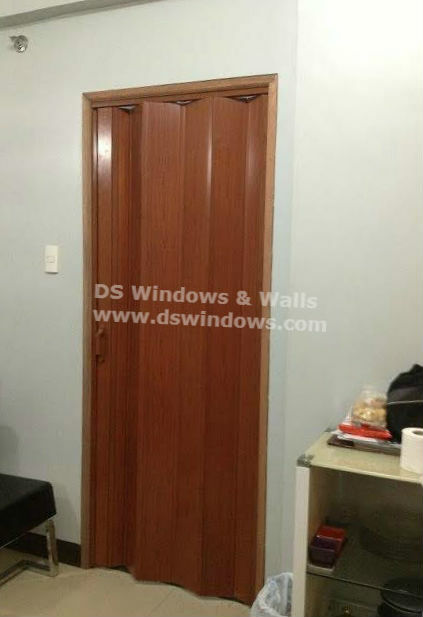 For more information, email us at inquiry@dswindows.com or visit our respective kiosk at 2nd level Pacific Mall, Lucena City, 3rd level Robinsons Metro East, Pasig City and 4th level Waltermart, Makati City. You can also call 0916-311-3909 or (02) 893-1373. You may also browse our FACEBOOK page and like us at www.facebook.com/windowblindsphilippines and www.facebook.com/blindsphilippines.